Ah, there is a chill in the air and there are pumpkins to be found. 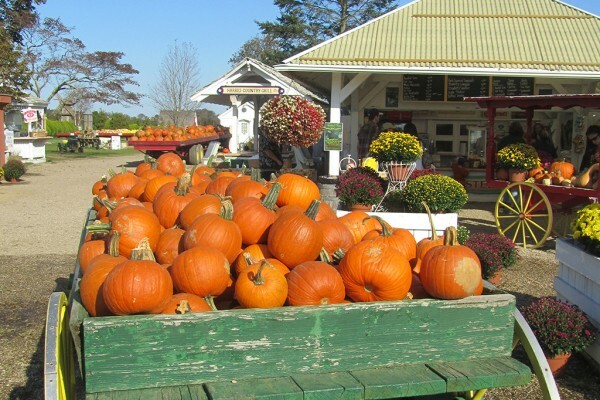 It is the wonderful season of fall, and here on Long Island we get to see all the folks who come out from the city to pick apples and pumpkins, visit wineries, and enjoy all the splendor the season has to offer. I am sure that many of you may have the same experience where you live. With all of this in mind, I thought I would share with you a cute reflection on how being a Christian is like being a pumpkin. I have had this piece for many years. You may have seen it, too. I was reminded of it when it recently resurfaced on my Facebook newsfeed. The reflection sure speaks to me for there are many times in my life that I have felt God bring me close to Him, dust me off, ask me to forgive or be at peace, put a smile back on my face, and send me off again to bring light to those whom I am ministering. This happens over and over again, just like the seasons. When in your life have you felt like that pumpkin being picked out of the patch and loved by God so much that He cleaned you up, soothed the hurt, put a smile back on your face, then let your light shine and give witness to His love for all? If you are like me, I am sure you will be able to reflect upon your life and see this pattern of God’s love for you. You are the one He picks, cares for, and sends back into the world to proclaim the good news of His love. So go out there this week and be a pumpkin, share a pumpkin and let your inner light shine! I bet it will bring a smile to your heart!